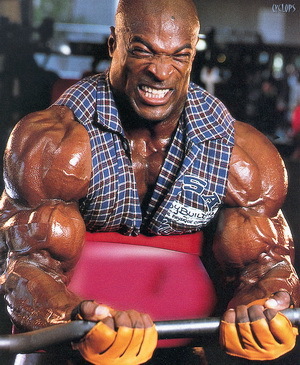 What would the Ronnie Coleman steroid cycle look like? Surprisingly, even though steroids are so widely used in professional bodybuilding, the cycles and dosages vary greatly from each pro. Genetics plays an extremely large role in bodybuilding, the steroids and other drugs are just a helper. 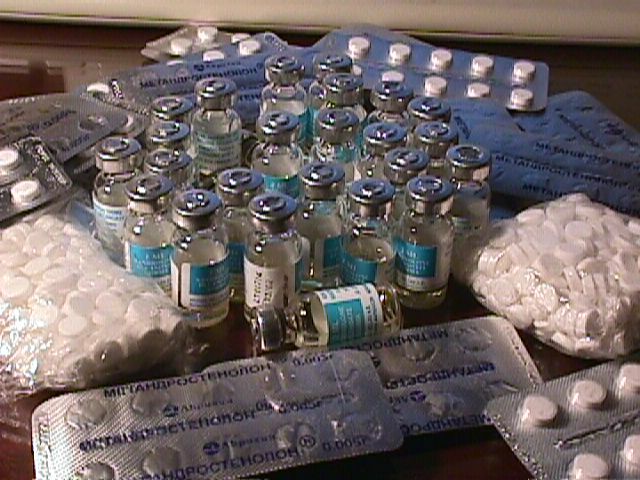 There are some pros that use very low dosages of steroids, and others that use very high dosages for very long periods of times. It almost makes you wonder where some of the low dose steroid users would be if they used the same dosage and length as the other guys. The complication of the steroid cycles also varies from bodybuilder to bodybuilder. There are some who only stick to a few compounds, while others are taking four, five, six at a time. Some are using the most exotic or newest drugs like insulin, IGF, growth hormone, etc., while others just stick to the basics, such as, testosterone, Dianabol and Deca Durabolin. But what many don’t understand is, it’s not the drugs or steroids that got them there, it’s a combination of genetics, nutrition, hard work, and dedication over several years. Let’s take a look at actual professional bodybuilders steroid cycles. Names are left out, but this is to give you an idea of the wide range of use and dosages in professional bodybuilding. Everybody know the famous protagonist of the great movie – Troy. Of course, he is Bratt Pitt. This man had to improve his body for this role. Do you like his body? He gained 8 kilograms of lean mass durring 12 weeks. He cutted his body excelent too. How has he done it? 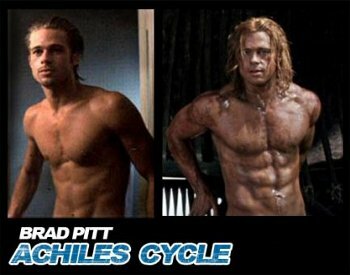 Change your body… We have „Achiles cycles“ for you. Our customers who use this cycle gained 6-8 kilograms quality lean mass which keep gains. Aromasin (Exemestane) is one of those weird compounds that nobody really knows what to do with. What we generally hear about it makes it very uninteresting…It’s a third generation Aromatase Inhibitor (AI) just like Arimidex (Anastrozole) and Femera (Letrozole). Both of those two drugs are very efficient at stopping the conversion of androgens into estrogen, and since we have them, why bother with Aromasin? It’s a little harder to get than the other two commonly used aromatase inhibitors, because it’s not in high demand, and there’s never been a readily apparent advantage to using it. And I mean…lets face it: It’s awkward-sounding. Aromasin doesn’t have much of a ring to it, and exemestane is even worse. Arimidex (Anastrozole) has a bunch of cool abbreviations (“A-dex” or just ‘dex) and even Letrozole is just “Letro” to most people. Where’s the cool nickname forAromasin/exemestane? A-Sin? E-Stane? It just doesn’t work. It’s the black sheep of AIs. And why do we even need it when we have Letrozole, which is by far the most efficient AI for stopping aromatization (the process by which your body converts testosterone into estrogen)? Letro can reduce estrogen levels by 98% or greater; clinically a dose as low as 100mcgs has been shown to provide maximum aromatase inhibition! My intention in preparing this article was to focus attention on some of the common theories about post-cycle strategies that are widely being practiced today and hopefully prevent some common mistakes. I am also going to explore some of the lesser known ergogens used to maintain size post-cycle. This article is geared primarily towards the recreational athlete or occasional steroid user, although it can be of value to the professional athlete. You just finished a steroid cycle and have made significant gains. Through brutal workouts, proper and generous food consumption, rigid supplement use, proper psychological attitude, and lots of rest, your performances have improved, and your physique has made a significant progress. You are satisfied with the accomplished results. However, there is more to proper steroid use than making gains while on a cycle. Successfully maximizing your gains while on is only part of the bigger picture. The toughest part – that of keeping your gains – is yet to come. Through improper and erratic steroid use, your hormonal system will be disturbed. Even if you used steroids and other ergogens properly, your organism will still have to readjust to normal physiological hormonal levels. This thread is for newbies and vets looking for cycles for specific goals. I have revised this as the Iron Game is constantly evolvoing and we need to keep up. Now before I get started, I have to emphisize that your diet, training, and rest is the key to achieving your goals. All cycles can be turned into a bulking cycle or cutting depending on your food consumption. In following example we describe some programs of achieving the effective results. It is shouldn’t take as a recommendations. In case of side effects the GoldenMuscles staff do not take responsibilities. *Clomid therapy: 36 pills. 300mg day 1, 100mg next 10, 50mg final 10. **HCG therapy is instituted for the prevention of testicular atrophy. The old practice was effective, but I feel prevention is more productive than trying to revert the problem late in the cycle. Here is help to create the perfect cycle! So you want to create the perfect cycle for yourself. So how do you go about this? Well there?s a lot of things you need to know before you can sit down and create yourself a perfect cycle. Read moreHere is help to create the perfect cycle! Are you a male over eighteen years old? Have you been training for at least two or three years seriously? Can you devote at least half a year to working out consistently? 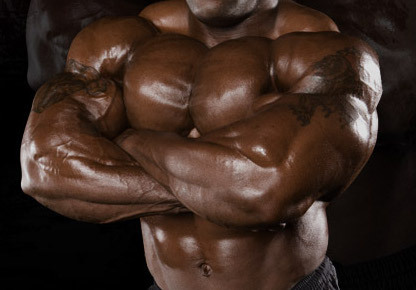 Can you be sure you can get real steroids? If you answer NO to any of the above questions, don’t waste your time with anabolic steroids. You wont get the results you want. Are you or have you ever suffered kidney or liver problems? If you answer YES to any of the above questions, stay away from steroids. As far away as you can. Diet and Training is your golden sword here. 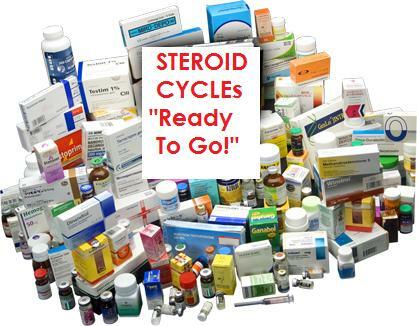 Every steroid cycle has a start, finish and an end – post cycle therapy (PCT). 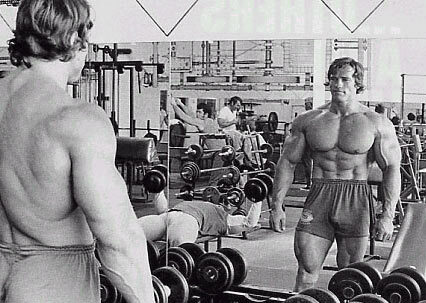 Arnold Schwarzenegger is among the most influential figures in body building history. Many were inspired by the way he looks. The big arms, well sculpted chest and those unmatched biceps inspired many to become like him. 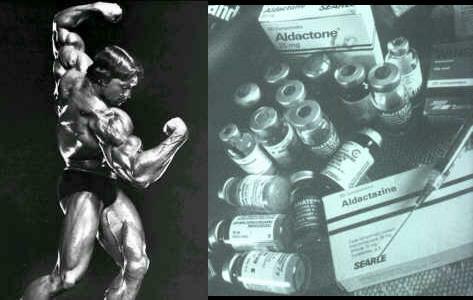 Arnold undoubtedly admitted use of steroids during the 1960s. He became the topic of most newspapers and tabloids as to what specific steroids he used to help him build such great body. Arnold Schwarzenegger steroid cycle is a 26-week cycle combination of Primobolan injectable, Dianabol oral and Deca Durabolin injectable. 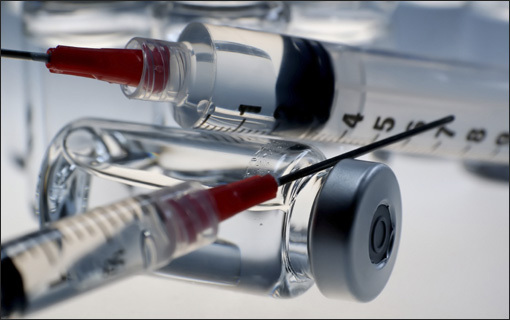 Primobolan is injected for the first 20 weeks. 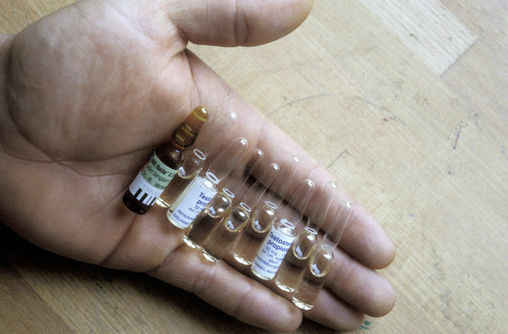 Deca Durabolin is injected only on the 21st to 26th week. Dianabol is taken orally at a tapering dose from week 1 to week 26. Warning: This is NOT intended to be strictly followed as a bible, this is just my personal theory on how to cycle. This thread is 110% based on my only personal experience or at the very least on someone very close to me experience. NO, you are not ready for steroids at all. Just because you need to ask to someone and this implies that you haven’t done enough research yet. After years of research on steroids you may answer your rhetoric question your own without thinking so much. Unfortunately people have no idea on the load of info they might find on the net about this stuff. Though they’re fine only if they take time to search for the reliable sources of info written by the RIGHT persons but at times they don’t mind and otherwise listen to some gym guy who cares nothing about their health. Ok, I’ve done my research, but how can I say that my body’s ready for AAS? Well, you must be AT THE VERY LEAST 21 years old, because your natural envelopment isn’t complete before that age. You need to have done all the possible to let your body grow naturally till it reached a so called “plateau” (the limit of natural muscle growth). To reach this level you should train HARD and CONSTANTLY for at least 2 years, along with proper dieting, the most important thing EVER. Once you’ll get into a mark which is impossible to go through, then you are effectively ready for steroids.